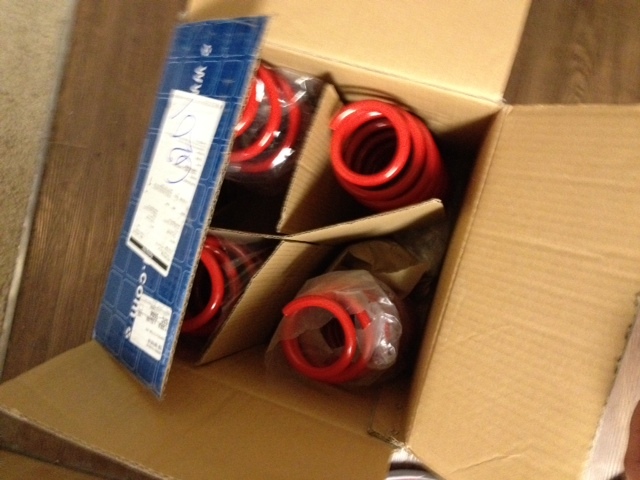 I have a set (4) of red lowering springs that I'm looking to sell. Since I decided I'm going to purchase some coilovers I guess I have no use for these. I got these from eBay (kospeed) for 120 shipped out buy it now; not looking to make money I'll take 85 bucks if you're around the Houston area. Not really interested in shipping this 11lb box but I could meet somewhere. These are brand new and have been sitting in my living room about 12 days. I can post pics if you ask but I'm sure you've seen these on eBay if you own an rx8. 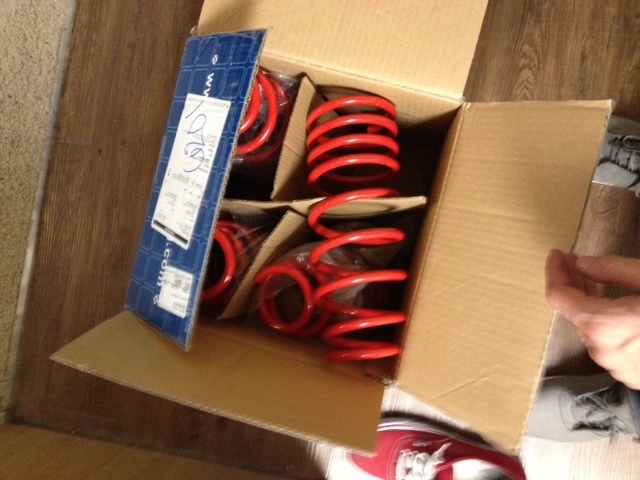 I bought these springs assuming getting them installed wouldn't be such a hassle so I now would like adjustable coilovers. Sorry for the late response dude. 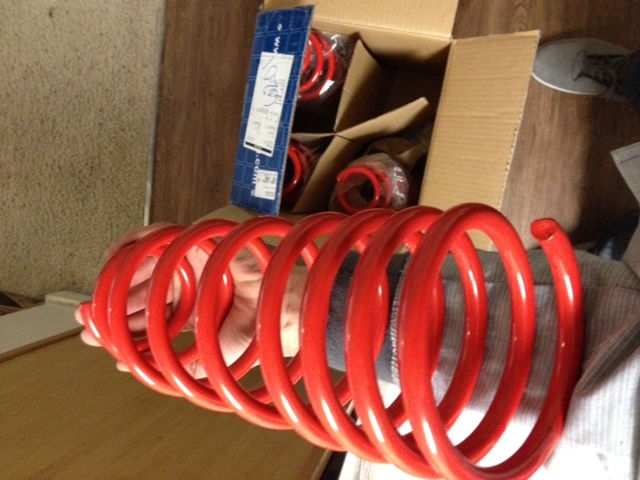 I still have the springs in my living room and will sale for 85 if you want to meet. Not in any rush 85 bucks isnt going to do much damage on the $1000 coilovers i want but i figured one of you guys could do something with these that I couldnt! Last edited by dirkyd3rk; 03-04-2012 at 05:26 PM.